The sizeable volume of data generated by your companies requires a reliable and secure storage system to store, process and analyse your business data. MBS takes care of all your data storage requirements and relies on partners developing the best technologies on the market to offer you solutions scaled to the real needs of your company. Your data is protected even in the event of a system failure, automatically backed up and accessible at all times on all your internal and external systems and applications. MBS relies on partners developing the best technologies on the market to offer you solutions scaled to the real needs of your company. Storage bays. Hard drives provided for your company’s computer network to manage a high volume of data in complete safety, at the best price per gigabyte. This system is totally managed: the data is in redundant mode to avoid any malfunction. As part of the Storage Centre solution, the management system for all SC products is rationalized in a single and consistent interface with the aid of the Enterprise Manager. 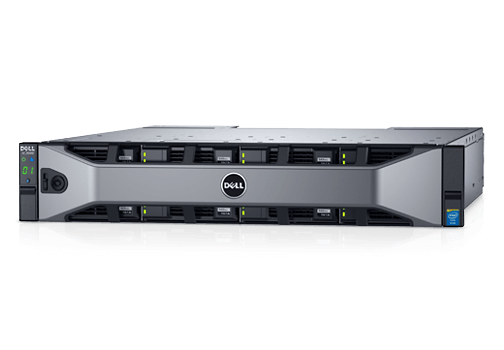 Whether it be a matter of consolidating a direct-attached storage (DAS) infrastructure, migrating data from a SAN (storage area network) or an existing network-attached storage (NAS) system, rationalizing data protection or quite simply adding storage capacity, Dell EqualLogic series PS4100 bays offer the solution. These tried and tested, high-performance and self-managed bays are designed to meet the needs fast-expanding company. The Synology RS3614xs+ RackStation offers a reliable and higher-performance networked storage solution for companies looking for uninterrupted service with comprehensive professional applications. 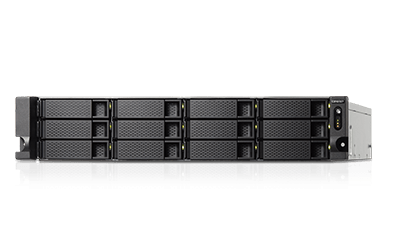 Scalable up to 216 TB, the Synology RS3614xs+ RackStation simplifies data management, enhances virtualization environments and rapidly expands storage capacity with minimum time investment in setup and maintenance. A powerful network system based on a very efficient AMD quad-core processor. It is the only one offering 10GbE compatibility at a price maximizing your return on investment, and what is more, it doubles encrypted file transfer performance thanks to its AES-NI accelerated hardware encryption engine that can achieve more than 800 MB/s. The TS-1263U-RP is designed for small and medium-sized companies looking for a private Cloud backup and restore solution and storage for virtualization enabling them to perpetuate their IT infrastructure for 10GbE networks. It offers a hosted storage solution without you needing to have a dedicated space in your company. Ideal for smaller volumes and data sharing, it requires a fast broadband connection. We assist you in activating a virtual Microsoft infrastructure and in virtualizing and migrating existing servers. With a storage bay coupled with two physical servers, we can set up a private Cloud in high-availability mode. Are you looking for a storage solution? Don't hesitate.